Have you heard the new song "Extranjera" by Claudia Prieto? If not, take a few minutes to listen to it now! This beautiful song will have you and your students singing along in no time. I can't wait to introduce it to my students next week with this song resource. I envision this resource going along with a unit on Carol Gaab's book Esperanza, and in particular, Chapter 10 of the novel. 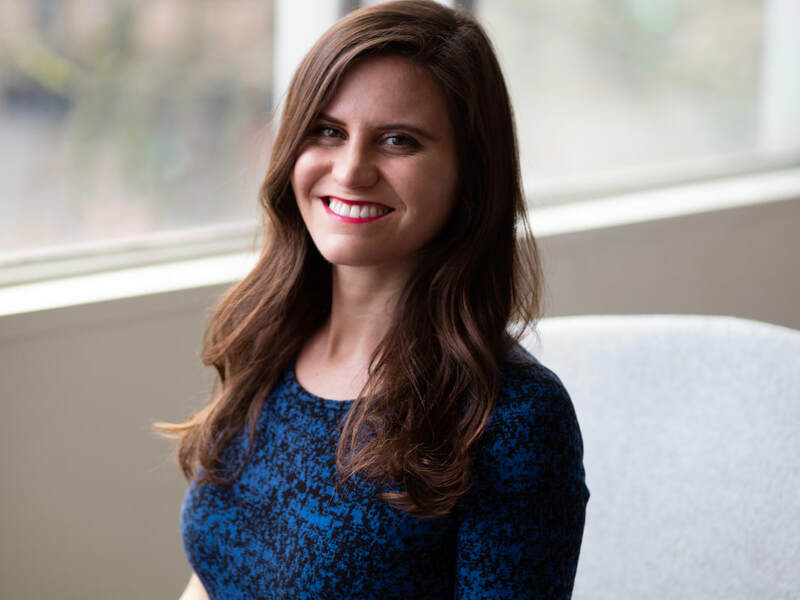 The novel's theme of immigration would compliment this tune well, as Claudia Prieto focuses on the conflicting feelings of isolation and joy that go along with being an immigrant to a new country. Claudia herself is an immigrant of Colombian and Venezuelan heritage, and her beautiful tune captures well the mixed emotions and challenges that go along with relocating to a new place that is so far away from friends and family. ​I had quite an interesting weekend, and I'd love to tell you a bit about it. I spent this past Friday and Saturday at the LALISA conference hosted at the beautiful Lewis and Clark College in Portland, Oregon. LALISA (Latin American, Latino, and Iberian Studies Association of the Pacific Northwest) is a group of scholars that presents their investigations into various literary, anthropological and cinematic themes at an annual conference hosted by the group. I was invited to present, and chose to share an investigation that I had completed during my fall term at Portland State University. In this investigation I delved into the work of Lope de Vega, Spain's prolific playwright of the Golden Age, and took a close look his brilliant 1615 play, El perro del hortelano. In my investigation, entitled "Las mujeres ingeniosas de Lope de Vega: Un 'examen para las ciencias' del personaje de Diana en El perro del hortelano de Lope de Vega", I analyzed the strong female lead, Diana, in one of Lope's well known plays, The Dog in the Manger. In my investigation I argue that Diana, the play's fearless and headstrong female lead, could in fact have been classified with a "sanguínea" temperament, rather than the "flemática" classification that she would have been afforded at the time that Lope's play was published in 1615. Throughout the investigation, I compare the play with the Examination of Men's Wits, the scientific treatise written by Juan Huarte de San Juan in 1575 and widely circulated during Lope de Vega's time. This treatise describes the four possible temperaments (sanguíneo, flemático, colérico and melocólico), but interestingly, the only temperament afforded by Huarte to the women of the time was the "flemático" temperament, which hardly describes the headstrong Diana, the Countess of Belfor. If you haven't yet had a chance to read Lope de Vega's brilliant play El perro del hortelano, you should really take a look! And don't forget to view the gorgeous 1996 film El perro del hortelano by director Pilar Miró. Miró's unique vision for the bold female lead of Diana is unforgettable. This weekend was such an enlightening and fascinating experience - I can't wait for next year's conference. "Recuérdame" from the movie "Coco"
It's that time of year. Students are restless and excited for the holiday season, and teachers are getting tired and looking forward to the holiday break. One of the best things you can do in your classroom at this time of year is introduce something new, that shakes up your classroom and gets your students excited. Why not try out the song warm-up procedure? 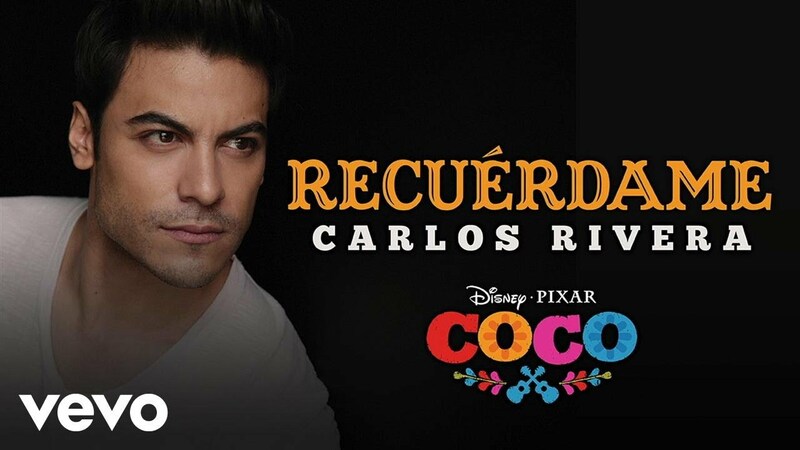 With the beautiful new song "Recuérdame" from the movie Coco by Carlos Rivera, also sung by Miguel and Natalia Lafourcade, this song warm-up procedure will have your students singing along in no time, and will even give them some practice with the future tense! Follow this link to access the FREE song warm-up resource. 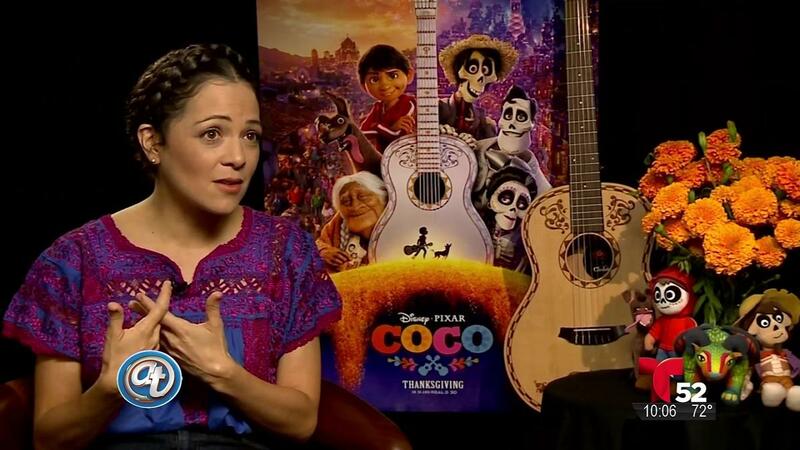 This beautiful tune is timely and goes along with Pixar's new film, Coco. This beautiful film highlights Mexican culture, and features many famous actors such as Gael García Bernal. Another beautiful bilingual rendition of the song features Natalia Lafourcade, a favorite artist of my students. This video would also be great to show and analyze in your classroom. My students absolutely love the song warm-up procedure and the beauty of this gorgeous song. I hope your students enjoy it too, and the song brings light and life to your classroom this holiday season! Follow this link to access the song warm-up resource. El Internado. Have you caught on to the craze yet? Newly released on Netflix last year, this television series from Spain has Spanish language students all over the country really looking forward to watching TV in the target language, and even watching the show on their own time outside of class! Featuring a group of high school friends who investigate together the macabre events that are occurring at their boarding school in northern Spain, this show will have your students on the edge of their seats, and looking forward to watching the next episode each week. In my classroom yesterday after the screening of Season 1 Episode 3, I heard students bragging about how much of El Internado they had watched at home, with one student winning the competition by stating that they were already on Season 4. No easy feat, when we just started Season 1 in March, and each season features between six and eleven hour-long episodes! I always screen movies and television shows in my classroom with no subtitles, or subtitles in Spanish when available. I find that this creates an excellent immersion experience for students without the distraction of interference outside of the target language. I often pause the show or movie to ask questions of the class in the target language, which helps to ensure comprehension of the challenging authentic language practice. If you're interested in screening a high language level, high interest show to your students, look no further. There are many resources that can be found to enhance your instruction of the series, and I will list a few for you below, to help begin your search. ​Not sure where to get started? First, preview the first episode on Netflix. ​Then, check out this comprehensive episode guide for Episode 1 that I created to use in my classroom this spring. Best of luck screening this compelling show to your students. I'm sure they will be hooked on the series in no time! One of my favorite ways to provide authentic listening practice for my students is through hit television shows in the target language. In my classroom, I have a few different shows and movies that I like to show for students throughout the year. Not only do the movies and television programs provide invaluable listening practice in an authentic way, but also the programs introduce students to various aspects of Latino culture that would be difficult to replicate through another technique. Celia highlights the beginnings of Cruz’s passion for singing in Cuba in the late fifties and her recognition as the most decisive singer of La Sonora Matancera. After leaving Cuba with her husband Pedro Knight, the series showcases how her career conquered markets in many languages, as she became one of the most recognized Salsa singers of all time. After taking a group of students from our high school to Cuba two years ago, this program has also served as a wonderful to introduce my current students Cuban culture and accents, in the hope that they will have the chance to experience life in Cuba for themselves in the future. All eighty episodes of the series Celia can be found free of charge online, streaming through www.telemundo.com, as well as Netflix. The first episode is also available through youtube at this link. I have also created two activities to help your students to analyze the television program in the target language. If you would like to access the activities, please follow this link to my TpT resources for the first episode and the second episode of the telenovela. If you're a Celia fanatic like I am, I bet that your students will be big fans too. My students loved learning Celia's tune La Vida es un Carnaval, and it would be a great song to consider teaching in your classroom. I have created a warm-up resource as well as a corresponding song exam to teach students this optimistic, upbeat tune. It's been one of the favorites in my classroom for the last three years, so I feel confident that you'll have success with this tune. Take a look at the resource by following this link. ​My International Baccalaureate Spanish 1 students​ are nearing the end of their year long course, and as you could imagine, they are quite excited for the summer break. As we near the end of our school year, we are reviewing for finals and studying our comprehensible Spanish I novel by Carol Gibb, Esperanza, which has my students quite engaged in the story of the struggles of a Guatemalan family that immigrates to the United States in the 1990's. As we finish our latest song warm up and exam cycle​, (Latinoamérica, by Calle 13, which fits directly into the themes in our current novel), I have been searching for a song that relates to my student's summer-is-around-the-corner mentality. One song that caught my ear (and my eye, with a beautiful music video) is the January 2017 release El Amante, by Boston native Nicky Jam. Nicky jam grew up in Boston with his Dominican mother and Puerto Rican father, but moved to San Juan with his family at age 10. This move helped to inspire his Reggeaton-based tunes. Discovered in a supermarket by a scout at age 11, Nicky Jam has been working on his musical career ever since, collaborating with artists such as Daddy Yankee as well as Enrique Iglesias, his partner for his most recent hit, El Perdón. If you are interested in teaching El Amante by Nicky Jam, please follow this link for the song warm-up resource at The Immersive Classroom through TpT. Please follow this link for the song exam resource at The Immersive Classroom through TpT. Or, if you are interested in both resources, follow this link for the song exam resource and warm-up resource at The Immersive Classroom through TpT. The music video can be found on youtube by following this link. For instructions on how to teach a song through the song warm-up process in your classroom, follow this link. And, for the next two days, I am throwing a sale at my TpT store! In honor of Teacher Appreciation Week, all resources in my store for the next two days are 20% off. Our new song of the week before "Semana Santa" for IB Spanish 2 is the pop tune Despacito by Luis Fonsi, featuring Daddy Yankee. This extremely catchy tune was voted as the favorite tune out of sixteen by my IB Spanish 2 students, and if you take a listen, it will be easy to see why. To find out more about how to start each day with a song warm-up in your classroom, follow this link. We have a winner! 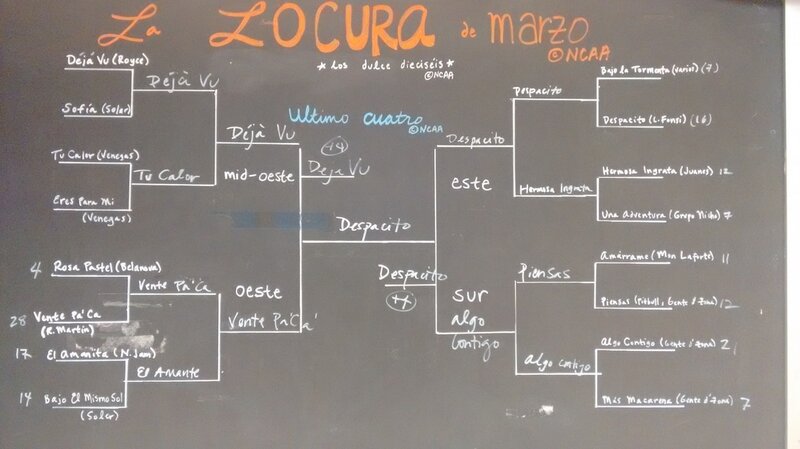 The La Locura de Marzo activity, otherwise known as March Madness, was a huge success. My IB Spanish 2 classes include quite a few basketball players, as well as music aficionados, so the activity was quite a hit. We included sixteen songs in our Locura de Marzo bracket, which made for stiff competition and heated discussion once we reached el Úlitmo Cuatro or Final Four. These four teams, highlighted below in bold, made it to the tense vote for el Último Cuatro, with our final ganador selected by class vote. We had a few broken hearts, but overall a successful round of La Locura de Marzo. I have a feeling I may have to teach a few more of our Úlitmo Cuatro songs before the year ends! If you're interested in teaching the extremely popular Despacito by Luis Fonsi and Daddy Yankee, please follow the link here. For instructions on how to run La Locura de Marzo in your classroom, click here. For instructions on how to teach the song warm-up activity to your students, click here. Any chance that you're feeling a bit intimidated by the thought of teaching music in the target language as a classroom warm-up? I know that when I first started this technique in my classroom, it seemed a bit daunting. But the rewards of a lively and musical start to your day with your students is well worth the work to try a new strategy in the classroom. In fact, it is the perfect bridge to help your students switch their brains to the immersive classroom experience in an engaging way. ​Amor de Mis Amores is an ideal song to introduce students to the song warm-up procedure, as the tune is slow and the lyrics are clearly enunciated and simple. For instructions on how to facilitate the song warm-up procedure in your classroom, follow this link to find the complete instructions.